Last year Creative Commons began a process to evaluate how to make their already-successful ccMixter project even more successful. Yesterday they announced a full-blown request for proposals to make ccMixter a fully stand-alone entity (without compromising any of the core values of Creative Commons or ccMixter–forever free). Last night I was invited by some friends to sit down and watch Herbie Hancock: Possibilities, a DVD that embodies many of the ideas I’m attempting to realize with The Miraverse. First, there is the premise, which Herbie lays on the line straightaway: that to grow as a musician, he must walk outside the lines of his comfort zone, meeting other artists halfway or more than halfway. In the first few segments, he explains this idea of sharing, give-and-take, and you can see the chosen artists saying “yes” but acting as if “OH MY GOD! IT’S HERBIE HANCOCK!! WHAT DO I DO?!?! ?” It takes Herbie a few times to really get the message “just be yourself” through through to them. Just a super-quick update, as the visual changes to the site are fairly minor. The clean conduits have been completed, and by early next week, the conduits for dirty power (lighting) and HVAC will also be in place. 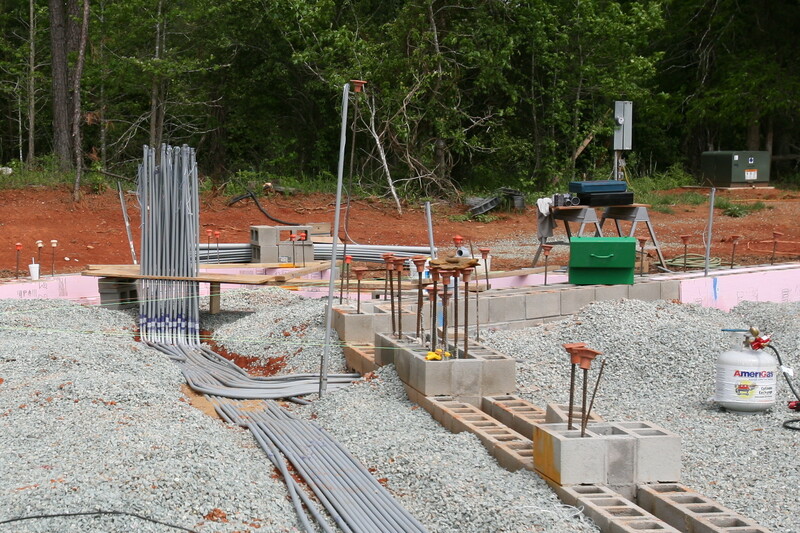 Then we just have a few more loose ends to tie up before pouring the slab. Hooray! Why so many conduits for a 4000 sq ft facility? As you can see, there are no small number of conduits providing power throughout the studio. We’ll have 200A of clean, balanced power, where every junction box has its own home run and its own star ground wire, 200A of “dirty” power, for lighting, appliances, and other things that don’t belong in the audio circuits, and 200A of power for HVAC, radiant heating, etc. And our goal it to make all this plentiful power carbon neutral.